← Hasbro Toy Shop Restocks For Cyber Monday! 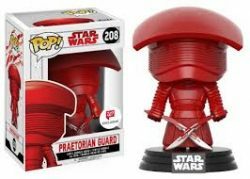 Walgreens Exclusive TBS6 [P3] General Veers On Sale! 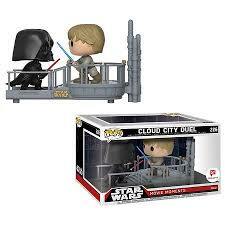 General Veers is on sale for $16.99 at Walgreens.com! Special thanks to JTA reader Marcel E. for the alert! ← Next Wave Of Force Link Figures Product Pages Added To Hasbro Toy Shop! Hurry! Walgreens Exclusive Obi-Wan Kenobi (Force Spirit) IN STOCK! Hurry! The Walgreens exclusive Obi-Wan Kenobi (Force Spirit) figure is IN STOCK at Walgreens’ online store! Limit 2 per customer. You will go to the Dagobah system. There you will learn from Yoda, the Jedi Master who instructed me. ← The Last Jedi Trailer #2 Is Now Available Online! We now have our first 6″ Force spirit figure. Check out Obi-Wan Kenobi (Force Spirit) in our Research Droids Reviews today! Be sure to leave your own thoughts in our comments section, vote in the poll or even leave comments about it on our Facebook page. Click the banner below for the direct link to the review! As always, you can also send your own personal review requests via email if you’d like to see something that we didn’t cover yet. ← What 6" Figures Would Make A Great Greatest Hits Assortment? Walgreens Exclusive 2-1B Funko Pop! IN STOCK! The Walgreen exclusive Funko Pop! 2-1B figure is IN STOCK! Special thanks to JTA reader Ben S. for the alert! Finally, we have an advanced look for you on the Walgreens exclusive Obi-Wan Kenobi (Force Spirit) figure. If you recall, JTA broke the news of this upcoming figure back in January. The figure is alright we suppose, but it’s nothing incredibly noteworthy. New collectors are already clamoring how amazing this figure looks, but longtime collectors have long been aware of this approach Hasbro utilized to recreate the “Force spirit” effect. It was first done with the very popular 2007 TAC Anakin Skywalker’s Spirit (30 45) figure. 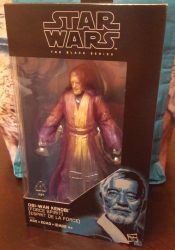 Obi-Wan Kenobi is based on the San Diego Comic Con exclusive Obi-Wan Kenobi figure’s sculpt but this time has been cast in translucent plastic and has been given a new sheer soft-goods purple robe. It looks good, but it’s also familiar. Check out the photo gallery now in our Research Droids Reviews. 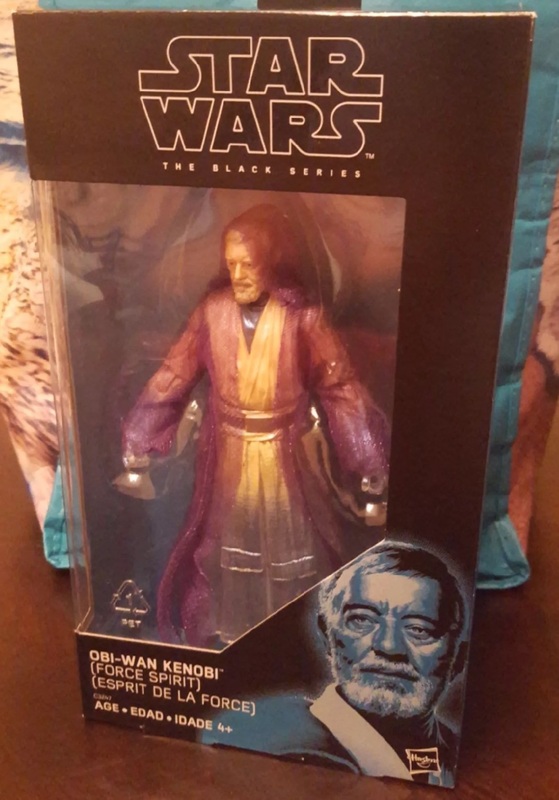 We are getting a ton of successful store reports with our readers finding the Walgreens exclusive Obi-Wan Kenobi figure. Keep the reports coming! Special thanks to JTA reader Braden H. for this report and image! We have seen reports of the new Walgreens Exclusive The Black Series Obi-Wan Kenobi [Force Spirit] 6″ showing up in stores in North Carolina and now in California. It might be time to start making those Walgreen stops. I know, I know…They’re difficult trips to make. I share the same experience many of you do with stores that get them 3 months late or never at all, but let the hunt begin! Have you found it in your area? Let us know! Do You Think This Post Might Make More Sense This Week Also? Remember THIS ORIGINAL POST? We wonder if it will have more significance soon. ← TBS6 [P3] Wave 11 Inventory Too Good To Be True? 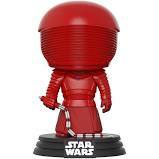 Funko announced their Wave 1: Star Wars San Diego Comic Con 2017 Pop! Exclusives, and it looks like there might be something for everyone! 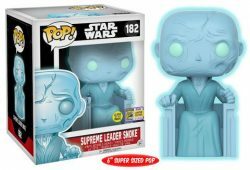 Just look at that Super Sized glow-in-the-dark Snoke. Click through to see them all.